Mexican-born artist Rafael Lozano-Hemmer (previously here) is an electronic artist who develops interactive installations that are at the intersection of architecture and performance art. His main interest is in creating platforms for public participation using technologies such as robotics, computerized surveillance and telematic networks. In his installation Pulse Index Lozano-Hemmer invites participants to place their finger into a custom-made sensor equipped with a 220x digital microscope and a heart rate sensor. 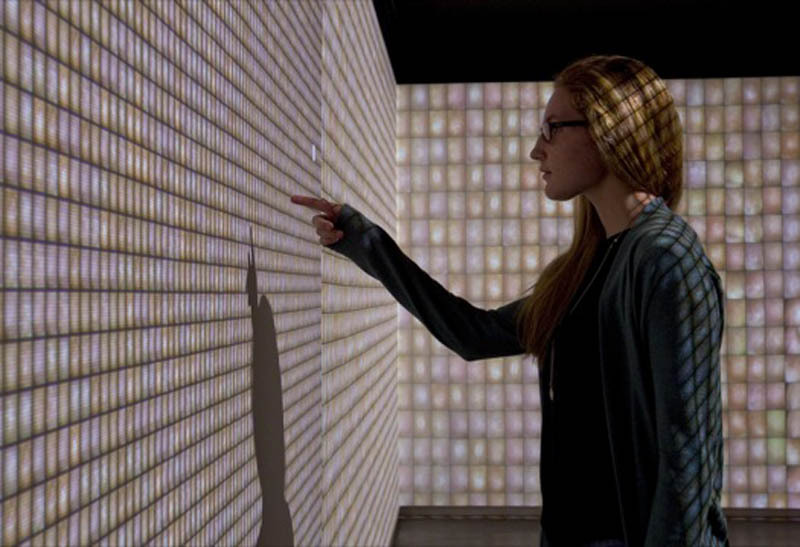 The piece displays data for the last 765 and over participants in a stepped display that creates a horizon line of skin. 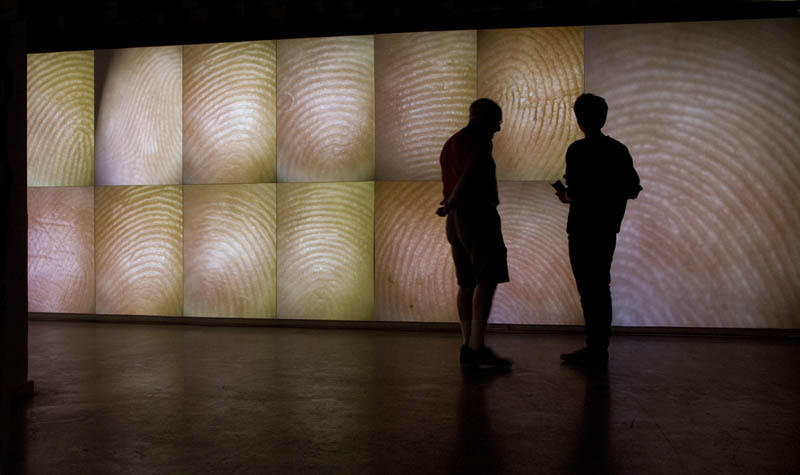 The fingerprint immediately appears on the largest cell of the display, pulsating to the person’s heart beat. As more people try the piece one’s own recording travels upwards until it disappears altogether. Reading Lozano-Hemmer’s website I learned that he has a mysterious public art piece scheduled for NYC next month (August) so we’ll have to keep an eye out for that. This entry was posted in Art, Interaction Design, Just Plain Cool, Stuff We Like. Bookmark the permalink.